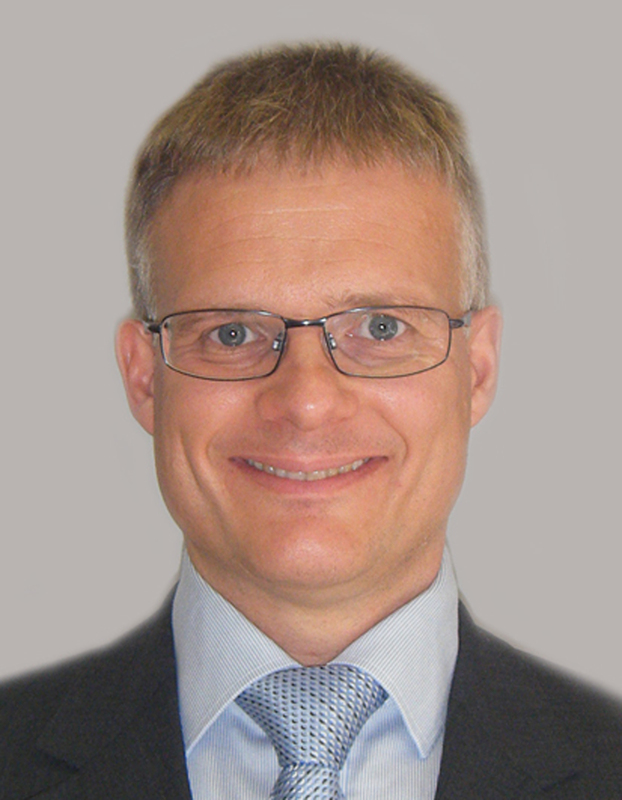 Biography: Miklas Scholz, canding, BEng (equiv), PgC, MSc, PhD, CWEM, CEnv, CSci, CEng, FHEA, FIEMA, FCIWEM, FICE, Fellow of IWA, VINNOVA Fellow, Marie Curie Senior Fellow, Humboldt Fellow,is a Prof. in Water Resources Engineering at Lund University, Sweden. He holds the Chair in Civil Engineering at The University of Salford, UK. He is a Professor and the Head of the Civil Engineering Research Group in Salford. Miklas is a Distinguished Professor at Johannesburg University. Prof.Scholz has shown excellence evidenced by world-leading publications, postgraduate supervision and recognised research impact. He has published four books and 221 journal articles. Prof.Scholz has total citations of 5027 (above 3234 citations since 2013), resulting in an h-index of 35 and an i10-Index of 111 (18 August 2018).About 48% each of his research is in wastewater treatment and water resources management, respectively. The remaining 4% are in capillary processes and water treatment. Scholz M. (Guest Editor) (2007), Wetland Systems to Control Runoff. International Journal of Water, 3 (3). Inderscience Publishers, ISSN (Print) 1465-6620, 120 pages (containing an editorial and eight papers). Scholz M. (Guest Editor) (2009), Sustainability: Environmental Studies and Public Health. International Journal of Environmental Research and Public Health. Editorial and ten papers. http://www.mdpi.com/journal/ijerph/special_issues/sustainability. Scholz M. (Guest Editor) (2012), Sustainable Flood Risk Management. Sustainability Journal. http://www.mdpi.com/journal/sustainability/special_issues/flood_risk. Scholz M. (Guest Editor), Adapting Wetland Management to Climate Change (2012),Sustainability Journal. British Journal of Environment and Climate Change. http://www.sciencedomain.org/page.php?id=call-for-papers-for-thirteenth-special-issue-of-bjecc. Scholz M. (Guest Editor) (2013), Nutrient Removal and Recovery. International Journal of Environmental Research and Public Health. http://www.mdpi.com/journal/ijerph/special_issues/removal-recovery. Scholz M. and Sarkar S. K. (Guest Editors) (2013), Resource Security. Natural Resources. http://www.scirp.org/journal/htmlOfSpecialIssue.aspx?ID=882&JournalID=192. Scholz M. (Guest Editor) (2014), Ecosystem Services. Open Journal of Ecology. 4 (9), http://www.scirp.org/journal/OJE. Scholz M. (Guest Editor) (2014), Drainage System. Journal of Water Resources and Protection. 6(11). http://www.scirp.org/journal/JWARP. Scholz M. (Guest Editor) (2015), Sustainable Drainage Systems. Water. http://www.mdpi.com/journal/water/special_issues/SuDS. Scholz M. (2002), Wetlands Treating Industrial Wastewater.Water Services, 105 (4), 18-20. Scholz M. (2002), Management of Sustainable Storm Water Ponds.Water 21, 1 (4), 61. Scholz M. (2002), Management of Sustainable Urban Drainage Pond Systems.Water Services, 105 (5), 25-27. Scholz M. (2003), Performance Predictions of Mature Experimental Constructed Wetlands, which Treat Urban Water Receiving High Loads of Lead and Copper.Water Research, 37 (6), 1270-1277. Scholz M. (2003), Sustainable Operation of a Small-scale Flood-Attenuation Wetland and Dry Pond System.Journal of the Chartered Institution of Water and Environmental Management, 17 (3), 171-175. Scholz M. (2003), Storm water Treatment with Constructed Wetlands.Water 21, 1 (3), 38. Scholz M. (2004), Case Study: Design, Operation, Maintenance and Water Quality Management of Sustainable Storm Water Ponds for Roof Run-off.Bioresource Technology, 95 (3), 269-279. Scholz M. (2004), Treatment of Gully Pot Effluent Containing Nickel and Copper with Constructed Wetlands in a Cold Climate.Journal of Chemical Technology and Biotechnology, 79 (2), 153-162. Scholz M. (2004), Storm Water Quality Associated with a Silt Trap (Empty and Full) Discharging Into an Urban Watercourse in Scotland.International Journal of Environmental Studies, 61 (4), 471-483. Scholz M. (2004), Pilot Plant Study for One Year: Water Quality Management and Algal Control of Sustainable Urban Storm water Ponds.International Journal of Water, 2 (4), 312-330. Scholz M. (2005), Hydraulics, Water Quality and Vegetation Characteristics of Groundwater-fed Open Ditches.Water and Environment Journal, 19 (1), 8-16. Scholz M. (2005), Development of a Practical Best Management Practice Decision Support Model for Planners.International Water and Irrigation, 25 (3), 12-18. Scholz M. (2005), Review of Recent Trends in Capillary Suction Time (CST) Dewaterability Testing Research.Industrial & Engineering Chemistry Research, 44 (22), 8157-8163. Scholz M. (2006), Revised Capillary Suction Time (CST) Test to Reduce Consumable Costs and Improve Dewaterability Interpretation.Journal of Chemical Technology and Biotechnology, 81 (3), 336-344. Scholz M. (2006), Novel Membrane Bioreactors and Constructed Wetlands for Treatment of Pre-processed Animal Rendering Plant Wastewater in Scotland.E-Water (formerly European Water Management Online Journal), online on http://www.ewaonline.de/journal/online.htm; individual paper: http://www.ewaonline.de/journal/2006_03h.pdf. Scholz M. (2006), Best Management Practice: A Sustainable Urban Drainage System Management Case Study.Water International, 31 (3), 310-319. Scholz M. (2006), Practical Sustainable Urban Drainage System Decision Support Tools.Proceedings of theInstitution of Civil Engineers – Engineering Sustainability, 159 (3), 117-125. Scholz M. (2007), Ecological Effects of Water Retention in the RiverRhineValley: A Review Assisting FutureRetentionBasin Classification.International Journal of Environmental Studies, 64 (2), 171-187. Scholz M. (2007), Classification Methodology for Sustainable Flood Retention Basins.Landscape and Urban Planning. 81 (3), 246-256. Scholz M. (2007), Development of a Practical Best Management Practice Decision Support Model for Engineers and Planners in Nordic Countries.Nordic Hydrology, 38 (2), 107-123. Scholz M. (2007), Expert System Outline for the Classification of Sustainable Flood Retention Basins (SFRBs).Civil Engineering and Environmental Systems, 24 (3), 193-209. Scholz M. (2008), Classification of Flood Retention Basins: The Kaiserstuhl Case Study. Environmental & Engineering Geoscience, 24 (2), 61-80. Scholz M.(2012), Retrofitting SuDS – A Decision Support Tool Based on Ecosystem Service Variables. Water and Sewerage Journal, Issue 4, 21-24. Scholz M.(2013), Water Quality Improvement Performance of Geotextiles within Permeable Paving Systems: A Critical Review. Water.5(2), 462-479. Scholz M.(2014), Rapid AssessmentSystem Based on Ecosystem Services for Retrofitting of Sustainable Drainage Systems. Environmental Technology,35(9-12), 1286-1295. Scholz M.(2014),Firewater Storage, Treatment, Recycling and Management: New Perspectives Based on Experiences from the United Kingdom. Water, 6 (2), 367-380. Scholz M. (2015),Capacity Down Pipe: Comparisons with Other Sustainable Drainage Systems. Science Discovery. Special Issue:New Technical Ideas for Climate Recovery, 3 (2-1), 7-17. Scholz M. (2007), Discussion: Decision-support Tools for Sustainable Drainage. Proceedings of theInstitution of Civil Engineers – Engineering Sustainability, 160 (1), 41-42. Scholz M. (2007), Editorial forWetland Systems to Control Runoff. International Journal of Water, 3 (3), 205-206. Scholz M. (2009), Sustainability: Environmental Studies and Public Health. International Journal of Environmental Research and Public Health, 6 (10), 2623-2625. Scholz M. (2013), Sustainable Water Systems. Water.5 (1), 239-242. Scholz M. (2015), Water Best Paper Award 2015. Water,7(2), 833-835. Scholz M. (2015), Sustainable Drainage Systems. Water, 7 (5), 2272-2274. Scholz M. (2010), Book Review: The Conquest of Nature – Water, Landscape, and the Making of Modern Germany. International Journal of Environmental Studies, 66 (6), 796-197. Scholz M. (2010), Book Review: Rivers by Design – State Power and the Origins of U.S. Flood Control. International Journal of Environmental Studies, 66 (6), 797-798. Scholz M. (2010), Book Review: Dezentrale Regenwasserbewirtschaftung im privaten, gewerblichen und kommunalen Bereich [Source Control for Private, Commercial and Council-owned Rainfall Runoff]. International Journal of Environmental Studies, 67 (3), 459. Scholz M. (2002), Sustainable Operation and Maintenance of a Combined Attenuation Wetland and Dry Pond Structure Used to Reduce the Risk of Downstream River Flooding. In Proceedings of the CIWEM Spring Meeting Conference 2002 on ‘Sustainable Operation and Maintenance’ (09/05/02), 4-01 to 4-18, Leamington Spa, UK. Scholz M. (2003), Design, Operation and Maintenance Optimisation of Sustainable Urban Storm Water Ponds. Pratt C. J., Davies J. W., Newman A. P. and Perry J. L. (Eds.). In Proceedings of theSecond National Conference on Sustainable Drainage. ISBN 1 903818 27 3, 31-41, Coventry University, Coventry, UK. Scholz M. (2004), Pilot Plant Study: Design, Operation and Maintenance Optimisation of Sustainable Urban Storm Water Ponds. In Proceedings of theSecond International Symposium on Ecological Sanitation “ecosan – closing the loop” Incorporating the 1st International Water Association Specialist Group Conference Sustainable Sanitation (07-11/04/03, Lübeck, Germany). ISBN 3-00-012791-7, 523-526, Gesellschaft für Technische Zusammenarbeit, haus der neuen medien GmbH, Hofheim-Wallau, Germany. Scholz M. (2004), Water Quality Characteristics of Polluted Vegetated Groundwater-fed Open Ditches in a Riparian Peatland. Horan N. J. (Ed.). In Proceedings of theSecond National Conference held by CIWEM and Aqua Enviro in Wakefield (13-15/09/04), ISBN 1 903958 09 01, Vol. 2, 359-370, Aqua Enviro, Leeds, UK. Scholz M. (2004), Treatment of Gully Pot Effluent Containing Nickel and Copper with Constructed Wetlands in Cold Climate. Horan N. J. (Ed.). In Proceedings of theSecond National Conference held by CIWEM and Aqua Enviro in Wakefield (13-15/09/04), ISBN 1 903958 09 01, Vol. 2, 371-382, Aqua Enviro, Leeds, UK. Scholz M. (2004), Water Quality Characteristics of Polluted Vegetated Groundwater-fed Open Ditches in a Riparian Peatland. Proceedings of the EWA Conference on Nutrient Management - European Experiences and Perspectives in Amsterdam, The Netherlands(28-29/09/04), ISBN 3-937758-30-5, European Water Association (EWA), DPS Vasen GmbH, Hennef, Germany. Scholz M. (2005), Constructed Treatment Wetlands: An Analytical Review. Newman A. P., Pratt C. J., Davies J. W. and Blakeman J. M. (Eds.). In Proceedings of theThird National Conference on Sustainable Drainage. ISBN 1 84600 007 6. 319-328. Coventry University, Coventry, UK. Scholz M. (2005), Review of Recent Trends in Capillary Suction Time and Dewaterability Analysis. Horan N. J. (Ed.). In Proceedings of theThird National Conference held by CIWEM and Aqua Enviro in Wakefield (06-08/09/05), ISBN 1 903958 14 08, Vol. 2, 7-17, Aqua Enviro, Leeds, UK. Scholz M. (2005), The Glasgow Sustainable Urban Drainage System Management Project. In Proceedings of the 10th International Conference on Urban Drainage (21-26/08/05), Copenhagen, Denmark. Scholz M. (2006), Novel Sustainable Drainage System Decision Support Model Used for Urban Pollution Control, In Proceedings of the Institution of Environmental Management and Assessment’s Annual Conference (06-07/06/2006), Droitwich Spa, Worcestershire, England. Scholz M. (2006), Integration of Wetlands Into a Novel Sustainable Urban Drainage System Model Used for Pollution Control. In Proceedings of the10th International Conference on Wetland Systems for Water Pollution Control (23-29/09/2006), ISBN 989-20-0361-6, International Water Association, Lisbon, Portugal, Lisbon, Portugal, Vol. 3, pp. 1541-1548. Scholz M. (2008), Classification Model for Sustainable Flood Retention Basins, 11th International Conference on Urban Drainage (31 August – 5 September 2008), proceedings on CD, Edinburgh, Scotland, UK, 2008, pp. 1-10. Scholz M. (2009), Classification and Assessment of Water Bodies as Sustainable Adaptive Measures for Flood Risk Management Planning in Response to Climate Change. In I. McLauchlan (Ed. ), Proceedings on CD of the Chartered Institute of Water and Environmental Management Scottish Branch 2009 Symposium “Flood Risk Management in the 21st Century – Keeping Our Heads Above Water” (03/11/09), Edinburgh, Scotland, United Kingdom. Scholz M.(2015), Green Infrastructure: Assessment of Tree Damage to Urban Structures. 4th International Environment Conference 2016 (2-3 March, 2016). Oral presentation. Ajman – United Arab Emirates. Scholz M. (2016), Combined Permeable Pavements and Geothermal Heat Pumps for Clean Energy Generation as well as Storm Water Treatment and Reuse. British Council and King Saud University-funded Science Collaboration Symposia on Water and Energy (21-22 March 2016), Riyadh, Saudi-Arabia. Scholz M. (2018), Water Resources Engineering Research Overview. Africa Day (16 April 2018), Lund University, Lund, Sweden, p. 9. Scholz M. and Martin R. J. (1997), Ecological Equilibrium on Biological Activated Carbon. Water Research, 31 (12), 2959-2968. Scholz M. and Martin R. J. (1998), Biological Control in Granular Activated Carbon Beds. International Review of Hydrobiology, 83, 657-664. Scholz M. and Martin R. J. (1998), Control of Bio-regenerated Granular Activated Carbon by Spreadsheet Modelling. Journal of Chemical Technology and Biotechnology, 71 (3), 253-261. Scholz M. and Xu J. (2001), Comparison of Vertical-flow Constructed Wetlands for Treatment of Wastewater Containing Lead and Copper. Journal of the Chartered Institution of Water and Environmental Management, 15 (4), 287-293. Scholz M., Xu J. and Dodson H. I. (2001), Comparison of Filter Media, Plant Communities and Microbiology within Constructed Wetlands Treating Wastewater Containing Heavy Metals. Journal of Chemical Technology and Biotechnology, 76 (8), 827-835. Mohan S., Scholz M. and Slater M. J. (2002), Neural Network Simulation of the Chemical Oxygen Demand Reduction in a Biological Activated Carbon Filter. Journal of the Chartered Institution of Water and Environmental Management, 16 (1), 58-64. Scholz M. and Xu J. (2002), Performance Comparison of Experimental Constructed Wetlands with Different Filter Media and Macrophytes Treating Industrial Wastewater Contaminated with Lead and Copper.Bioresource Technology, 83 (2), 71-79. Scholz M. and Xu J. (2002), Comparison of Constructed Reed Beds with Different Filter Media Treating Simulated Mine Drainage Water.Ecological Engineering, 18 (3), 385-390. Uzomah V. C. and Scholz M. (2002), Water Availability Assessment and Corresponding Public Health Implications for a Rural Area in Nigeria.Journal of the Chartered Institution of Water and Environmental Management, 16 (4), 296-299. Scholz M., Höhn P. and Minall, R. (2002), Mature Experimental Constructed Wetlands Treating Urban Water Receiving High Metal Loads. Biotechnology Progress, 18 (6), 1257-1264. Scholz M. and Anderson P. (2003), Case Study: Design, Operation and Water Quality Management of a Combined Wet and Dry Pond System. European Water Management Online Journal [online]. 06 November 2003. Reference Number: 2003/07. Available from the Internet: http://www.ewaonline.de/journal/2003_07h.pdf. O’Brien C., Scholz M. and McConnachie G. L. (2003), Comparison of Treatment Technologies for Pre-treated Animal Rendering Plant Wastewater in Scotland.Journal of Food, Agriculture and Environment, 1 (2), 314-319. Scholz M. and Trepel M. (2004), Hydraulic Characteristics of Groundwater-fed Open Ditches in a Peatland.Ecological Engineering, 23 (1), 29-45. Scholz M. and Trepel M. (2004), Water Quality Characteristics of Vegetated Groundwater-fed Ditches in a Riparian Peatland.Science of the Total Environment, 332 (1-3), 109-122. Scholz M. and Zettel S. (2004), Stormwater Quality Associated with a Full Silt Trap Discharging into an Urban Watercourse.Water and Environment Journal, 18 (4), 226-229. Scholz M. and Tapp J. (2005), Development of a Revised Capillary Suction Time (CST) Test.Water Conditioning and Purification, 48 (1), 46-52. Scholz M., Morgan R. and Picher A. (2005), Storm water Resources Development and Management in Glasgow: Two Case Studies.International Journal of Environmental Studies, 62 (3), 263-282. O’Brien C. A., Scholz M. and McConnachie G. L. (2005), Membrane Bioreactors and Constructed Wetlands for Treatment of Rendering Plant Wastewater.Water and Environment Journal, 19 (3), 189-198. Scholz M. and Kazemi-Yazdi S. (2005), How Goldfish Could Save Cities from Flooding.International Journal of Environmental Studies, 62 (4), 367-374. Scholz M. and Lee B.-H. (2005), Constructed Wetlands: A Review.International Journal of Environmental Studies, 62 (4), 421-447. Scholz M., Anderson P. and Forman B. I. (2005), Treatment of Gully Pot Liquor Containing Heavy Metals with Constructed Wetlands in Scotland.Water Science and Technology, 51 (9), 251-258. Lee B.-H., Scholz M. and Horn A. (2006), Constructed Wetlands: Treatment of Concentrated Storm Water Runoff (Part A).Environmental Engineering Science, 23 (2), 320-331. Lee B.-H., Scholz M., Horn A. and Furber A. M. (2006), Constructed Wetlands: Prediction of Performance with Case-based Reasoning (Part B).Environmental Engineering Science, 23 (2), 203-211. Zheng J., Nanbakhsh H. and Scholz M. (2006), Case Study: Design and Operation of Sustainable Urban Infiltration Ponds Treating Storm Runoff.Journal of Urban Planning and Development – ASCE, 132 (1), 36-41. Almas A. A. M. and Scholz M. (2006), Potential for Wastewater Reuse in Irrigation: Case Study from Aden (Yemen).International Journal of Environmental Studies, 63 (2), 131-142. Almas A. M. and Scholz M. (2006), Agriculture and Water Resources in Yemen: Need for Sustainable Agriculture.Journal of Sustainable Agriculture, 28 (3), 55-75. Lee B.-H. and Scholz M. (2006), A Comparative Study: Prediction of Constructed Treatment Wetland Performance with K-nearest Neighbours and Neural Networks.Water, Air and Soil Pollution,174 (1-4), 279-301. Lee B.-H. and Scholz M. (2006), Application of the Self-organizing Map (SOM) to assess the Heavy Metal Removal Performance in Experimental Constructed Wetlands.Water Research, 40 (18), 3367-3374. Scholz M., Corrigan N. L. and Kazemi-Yazdi S. (2006), The Glasgow Sustainable Urban Drainage System Management Project: Case Studies (BelvidereHospital and Celtic FC Stadium Areas).Environmental Engineering Science, 23 (6), 908-922. Lee B.-H. and Scholz M. (2007), What is the Role of Phragmites australis in Experimental Constructed Wetland Filters Treating Urban Runoff? Ecological Engineering, 29 (1), 87-95. Scholz M., Harrington R., Carroll P. and Mustafa A. (2007),The Integrated Constructed Wetlands (ICW) Concept.Wetlands, 27 (2), 337-354. Nanbakhsh H., Kazemi-Yazdi S. and Scholz M. (2007), Design Comparison of Experimental Storm Water Detention Systems Treating Concentrated Road Runoff.Science of the Total Environment, 380, 220-228. Scholz M., Sadowski A. J., Harrington R. and Carroll P.(2007),Integrated Constructed Wetlands Assessment and Design for Phosphate Removal.Biosystems Engineering, 97 (3), 415-423. Scholz M. and Grabowiecki P. (2007), Review of Permeable Pavement Systems.Building and Environment, 42 (11), 3830-3836. Eke P. E. and Scholz M. (2008), Benzene Removal with Vertical-flow Constructed Treatment Wetlands.Journal of Chemical Technology and Biotechnology, 83 (1), 55-63. Sawalha O. and Scholz M. (2008), Assessment of Capillary Suction Time (CST) Test Methodologies.Environmental Technology, 28 (12), 1377-1386. Rustum R., Adeloye A. J. and Scholz M. (2008), Applying Kohonen Self-Organizing Map as a Software Sensor to Predict Biochemical Oxygen Demand.Water Environment Research, 80 (1), 32-40. Hedmark Å. and Scholz M. (2008), Review of Environmental Effects and Treatment of Runoff from Storage and Handling of Wood.Bioresource Technology, 99 (14), 5997-6009. Carty A., Scholz M., Heal K., Gouriveau F. and Mustafa A. (2008), The Universal Design, Operation and Maintenance Guidelines for Farm Constructed Wetlands (FCW) in Temperate Climates.Bioresource Technology, 99 (15), 6780-6792. Zhang L., Scholz M., Mustafa A. and Harrington R. (2008), Assessment of the Nutrient Removal Performance in Integrated Constructed Wetlands with the Self-organizing Map. Water Research, 42 (13), 3519-3527. Tang X., Eke P. E., Scholz M. and Huang S. (2008), Processes Impacting on Benzene Removal in Vertical-flow Constructed Wetlands. Bioresource Technology, 100 (1), 277-334. Tang X., Huang S. L. and Scholz M. (2008) Nutrient Removal in Wetlands During Intermittent Artificial Aeration: A Pilot-scale Study.Environmental Engineering Science, 25 (9),1279-1290. Hedmark Å., Scholz M. and Elowson T.(2009), Treatment of Log Yard Runoff Impacted by Aged Logs in a Free Water Surface Constructed Wetland. Environmental Engineering Science, 26 (11), 1623-1632. Zhang L., Scholz M., Mustafa A. and Harrington R. (2009), Application of the Self-organizing Map as a Prediction Tool for an Integrated Constructed Wetland Agroecosystem Treating Agricultural Runoff. Bioresource Technology, 100 (2), 539-565. Scholz M.and Sadowski A. J. (2009), Conceptual Classification Model for Sustainable Flood Retention Basins. Journal of Environmental Management, 90 (1), 624-633. Tang X., Huang S., Scholz M. and LiJ. (2009) Nutrient Removal in Pilot-scale Constructed Wetlands Treating Eutrophic River Water: Assessment of Plants, Intermittent Artificial Aeration and Polyhedron Hollow Polypropylene Balls.Water, Air and Soil Pollution, 197 (1-4), 61-73. Scholz M. andKazemi Yazdi S. (2009)Treatment of Road Runoff by a Combined Storm Water Treatment, Detention and Infiltration System. Water, Air and Soil Pollution, 198 (1-4), 55-64. Scholz M. and Grabowiecki P. (2009) Combined Permeable Pavement and Ground Source Heating Pump Systems to Treat Urban Runoff. Journal of Chemical Technology and Biotechnology, 84 (3), 405-413. Mustafa A., Scholz M., Harrington R. and Carrol P. (2009) Long-term Performance of a Representative Integrated Constructed Wetland Treating Farmyard Runoff. Ecological Engineering, 35 (5), 779-790. Zhang L. and Scholz M.(2009), Performance Comparison of Filters with Different Aggregates. Environmental Progress & Sustainable Energy, 28 (2), 192-201. Tota-Maharaj K., Grabowiecki P. and Scholz M. (2009), Energy and Temperature Performance Analysis of Geothermal (Ground Source) Heat Pumps Integrated with Permeable Pavement Systems for Urban Run-off Reuse.International Journal of Sustainable Engineering, 2 (3), 201-213. Tang X., Scholz M., Eke P. E. and Huang S.(2009), Seasonal Variability in Benzene Removal by Vertical-flow Constructed Wetland Filters.Water, Air and Soil Pollution, 202 (1-4), 259-272. Sawalha O. and Scholz M. (2009), Innovative Enhancement of the Design and Precision of the Capillary Suction Time Testing Device. Water Environment Research, 81 (11), 2344-2352. Tang X., Huang S. L. and Scholz M.(2009), Comparison of Phosphorus Removal Between Vertical Subsurface Flow Constructed Wetlands with Different Substrates. Water and Environment Journal, 23 (3), 180-188. Hedmark Å., Zhang L., Scholz M., Aronsson P. and Elowson T (2009), Self-organizing Map Analysis of Planted Soil Infiltration Systems for Treatment of Log Yard Runoff. Forest Science, 55 (2), 183-188. Scholz M., Harrington R., Carroll P.and Mustafa A. (2010), Monitoring of Nutrient Removal within Integrated Constructed Wetlands (ICW). Desalination, 250 (1), 356-360. Scholz M. and Hedmark Å. (2010), Constructed Wetlands Treating Runoff Contaminated with Nutrients. Water, Air and Soil Pollution, 205 (1), 323-332. Bastien N., Arthur S., Wallis S. and Scholz M (2010), The Best Management of SuDS Treatment Trains: A Holistic Approach. Water, Science and Technology, 61 (1), 263-272. Tota-Maharaj K. and Scholz M. (2010), Permeable (Pervious) Pavements and Geothermal Heat Pumps: Addressing Sustainable Urban Storm Water Management and Renewable Energy. International Journal of Green Economics, 3 (3-4), 447-461. Kayranli B., Scholz M., Mustafa A. and Hedmark Å. (2010), Carbon Storage and Fluxes Within Freshwater Wetlands: a Critical Review. Wetlands, 30 (1), 111-124. Hedmark Å., Scholz M., Aronsson P. and Elowson T. (2010), Comparison of Planted Soil Infiltration Systems for Treatment of Log Yard Runoff. Water Environment Research, 82 (7), 666-669. Kazemi Yazdi S. and Scholz M. (2010), Assessing Storm Water Detention Systems Treating Road Runoff with an Artificial Neural Network.Water, Air and Soil Pollution, 206 (1-4), 35-47. Robinson M., Scholz M., Bastien N. and Carfrae J. (2010), Classification of Different Sustainable Flood Retention Basin Types.Journal of Environmental Sciences - China, 22 (6), 898-903. McMinn W. R., Yang Q. and Scholz M. (2010), Classification and Assessment of Water Bodies as Adaptive Structural Measures for Flood Risk Management Planning.Journal of Environmental Management, 91 (9), 1855-1863. Kayranli B., Scholz M., Mustafa A., Hofmann O. and Harrington R. (2010), Performance Evaluation of Integrated Constructed Wetlands Treating Domestic Wastewater. Water, Air and Soil Pollution, 210 (1), 435-451. Harrington C. and Scholz M. (2010), Assessment of Pre-digested Piggery Wastewater Treatment Operations with Surface Flow Integrated Constructed Wetland Systems.Bioresource Technology, 101 (20), 7713-7723. Sawalha O. and Scholz M. (2010), Modeling the Relationship between Capillary Suction Time and Specific Resistance to Filtration. Journal of Environmental Engineering - ASCE, 136 (9), 983-991. Wang W., Tang X., Huang S., Zhang S., Lin C., Liu D. W., Che H. J., Yang Q. and Scholz M.(2010), Ecological Restoration of Polluted Plain Rivers within the Haihe River Basin in China. Water, Air and Soil Pollution, 211 (1-4), 341-357. Ahmed T., Kanwal R., Hassan M., Ayub N. and Scholz M.(2010), Coagulation and Disinfection in Water Treatment Using Moringa.Proceedings of theInstitution of Civil Engineering – Water Management, 163 (WM8), 381-388. Tota-Maharaj K.and Scholz M.(2010),Efficiency of Permeable Pavement Systems for the Removal of Urban Runoff Pollutants under Varying Environmental Conditions. Environmental Progress & Sustainable Energy, 29 (3), 358-369. Scholz M. and Yang Q. (2010),Guidance on Variables Characterising Water Bodies including Sustainable Flood Retention Basins.Landscape and Urban Planning, 98 (3-4), 190-199. Tota-Maharaj K., Scholz M., Ahmed T., French C. and E. Pagaling (2010), The Synergy of Permeable Pavements and Geothermal Heat Pumps for Storm water Treatment and Reuse.Environmental Technology, 31 (14), 1517-1531. Tang X., Scholz M., Eke P. E. and Huang S. (2010), Nutrient Removal as a Function of Benzene Supply Within Vertical-flow Constructed Wetlands.Environmental Technology, 31 (6), 681-691. Bastien N., Arthur S., Wallis S. and Scholz M. (2010)Optimising Regional Sustainable Drainage Systems Pond Performance Using Treatment Trains.Desalination and Water Treatment, 19 (1-3), 2-11. Yang Q., Shao J., Scholz M. and Plant C. (2011), Feature selection methods for characterizing and classifying adaptive Sustainable Flood Retention Basins. Water Research, 45 (3), 993-1004. Xu X., Huang S.,Scholz M. and Dong Y. (2011), Remediation of Polycyclic Aromatic Hydrocarbons: a Review. Perspectives in Agriculture, Veterinary Science, Nutrition and Natural Resources, 6 (3), 1-9. Online at http://www.cabi.org/cabreviews/default.aspx?LoadModule=Review&ReviewID=166910&site=167&page=1178. Tota-Maharaj K., Scholz M. and Coupe S. (2011),Utilisation of Geothermal Heat Pumps within Permeable Pavements for Sustainable Energy and Water Practices.Journal of Energy and Power Engineering, 5 (2), 122-128. Dzakpasu M., Hofmann O., Scholz M., Harrington R., Jordan S. N.,and McCarthy V. (2011), Nitrogen Removal in an Integrated Constructed Wetland Treating Domestic Wastewater. Journal of Environmental Science and Health, Part A: Toxic/Hazardous Substances and Environmental Engineering,7 (7), 742-750. Mustafa A. and Scholz M.(2011),Nutrient Accumulation in Typha latifolia and Sediment of a Representative Integrated Constructed Wetland. Water, Air and Soil Pollution, 219 (1), 329-341. Harrington R., Caroll P. Cook S., Harrington C., Scholz M. and McInnes R. J. (2011), Integrated Constructed Wetlands: Water Management as a Land-Use Issue, Implementing the ‘Ecosystem Approach’. Water Science and Technology, 63 (12), 2929-2937. Zang C., Huang S., Wu M., Du S., Scholz M., Gao F., Lin C., Guo Y. and Dong Y. (2011),Comparison of Relationships between pH, Dissolved Oxygen and Chlorophyll a for Aquaculture and Non-aquaculture Waters. Water,Air and Soil Pollution, 219 (1-4), 157-174. Harrington C., Scholz M., Culleton N. and Lawlor P. D.(2011), Meso-scale Systems Used for the Examination of Different Integrated Constructed Wetland Operations.Journal of Environmental Science and Health, Part A:Toxic/Hazardous Substances and Environmental Engineering, 7 (Special Issue), 783-788. Dong Y., Wili?ski P., Dzakpasu M. and Scholz M.(2011),Impact of Hydraulic Loading Rate and Season on Water Contaminant Reductions within Integrated Constructed Wetlands. Wetlands, 31 (3), 499-509. Mustafa A. and Scholz M.(2011), Characterization of Microbial Communities Transforming and Removing Nitrogen in Wetlands. Wetlands, 31 (3), 583-592. Tota-Maharaj K., Scholz M. and Coupe S.(2011),Modelling Temperature and Energy Balances within Geothermal Paving Systems.Road Materials and Pavement Design, 12 (2), 315-344. Bastien N. R. P., Arthur S., Wallis S. G. and Scholz M. (2011), Runoff Infiltration, a Desktop Case Study. Water, Science and Technology, 63 (10), 2300-2308. Tang X., Huang S., Scholz M. and Li J. (2011), Nutrient Removal in Vertical Subsurface Flow Constructed Wetlands Treating Eutrophic River Water.International Journal of Environmental Analytical Chemistry, 91 (7-8), 727-739. Scholz M. and Yang Q. (2012),Novel Method to Assess the Risk of Dam Failure. Sustainability, 3 (11), 2200-2216. Hartley W., Riby P., Sparkeb S., Dickinson N. M., Shutes B. and Scholz M. (2012), Planting Woody Crops on Dredged Contaminated Sediment Provides both Positive and Negative Effects in Terms of Remediation. Environmental Pollution,159 (12), 3416-3424. Sawalha O. and Scholz M.(2012),Impact of Temperature on Sludge Dewatering Properties Assessed by the Capillary Suction Time.Industrial & Engineering Chemistry Research,51 (6), 2782-2788. Tang X.,Wu M.,Yang W., Yin W., Jin F., Ye M., Curie N. and Scholz M. (2012), Ecological Strategy for Eutrophication Control. Water, Air and Soil Pollution,223 (2), 723-737. Wu M., Huang S., Wen W., Sun X., Tang X. and Scholz M. (2012),Nutrient Distribution within and Release from the Contaminated Sediment of Haihe River. Journal of Environmental Sciences - China, 23 (7),1086-1094. Harrington C., Scholz M., Culleton N. and Lawlor P. G.(2012), The use of Integrated Constructed Wetlands (ICW) for the Treatment of Separated Swine Wastewaters. Hydrobiologia, 692 (1), 111-119. Wang Y., Wang X. Y., Scholz M. and Ross D. K.(2012),A Physico-chemical Model for the Water Vapour Sorption Isotherm of Hardened Cementious Materials. Construction and Building Materials, 35, 941-949. Danso-Amoako E., Kalimeris N.,Scholz M., Yang Q. and Shao J. (2012), Predicting Dam Failure Risk for Sustainable Flood Retention Basins: a Generic Case Study for the Wider Greater Manchester Area. Computers, Environment and Urban Systems, 36 (5), 423-433. Scholz M., Hedmark Å. and Hartley W. (2012), Recent Advances in Sustainable Multifunctional Land and Urban Management in Europe: a Review. Journal of Environmental Planning and Management, 55 (7), 833-854. Wu M., Huang S., Zang C., Du S. and Scholz M. (2012), Release of Nutrient from Fish Food and Effects on Microcystis aeruginosa Growth. Aquaculture Research, 43 (10), 460-470. Scholz M., Yang Q. and Shao J. (2012), Dam Failure Assessment for Sustainable Flood Retention Basins in Scotland. International Journal of Sustainable Civil Engineering, 4 (1), 49-67. Dzakpasu M., Scholz M., Harrington R., Jordan S. N.,and McCarthy V. (2012),Characterising Infiltration and Contaminant Migration Beneath Earthern-lined Integrated Constructed Wetlands. Ecological Engineering. 41, 41-51. Dong Y., Scholz M. and Harrington R.(2012), Statistical Modeling of Contaminants Removal in Mature Integrated Constructed Wetland Sediments. Journal of Environmental Engineering – ASCE,138 (10), 1009-1017. Tang X., Li Q., Wu M., Tang W., Jin F., Haynes J. and Scholz M., (2012),Ecological Environment Protection in Chinese Rural Hydropower Development Practices: a Review. Water, Air and Soil Pollution,223 (6), 3033-3048. Yang Q., Scholz M. and Shao Y. (2012),Application of Spatial Statistics as a Screening Tool for Sustainable Flood Retention Basin Management.Water and Environment Journal. 26 (2), 155-164. Liu X., Huang S., Tang T., Liu X., Scholz M. (2012), Growth Characteristics and Nutrient Removal Capability of Plants in Subsurface Vertical Flow Constructed Wetlands. Ecological Engineering. 44, 189-198. Yang Q., Shao J., Scholz M., Boehm C. and Plant C. (2012), Multi-label Classification Models for Sustainable Flood Retention Basins. Environmental Modelling and Software. 32, 27-36. Wu M., Sun X., Huang S., Tang X. and Scholz M. (2012),Laboratory Analyses of Nutrient Release Processes from Haihe River Sediment. International Journal of Sediment Research.27 (1), 61-72. Tota-Maharaj K. and Scholz M.(2012), Artificial Neural Network Simulation of Combined Permeable Pavement and Earth Energy Systems Treating Storm Water. Journal of Environmental Engineering - ASCE.138 (4), 499-509. Scholz M., Yang Q. and Shao J. (2012), Dam Failure Assessment for Sustainable Flood Retention Basins in Scotland. Journal of Flood Engineering. 3 (1-2), 63-81. Palmer-Felgate E. J., Acreman M. C., Verhoeven J. T. A., Scholz M., Maltby E., Stratford C. J., Newman J.,Miller J. and Coughlin D. (2013), How Effective are Reed Beds, Ponds, Restored and Constructed Wetlands at Retaining Nitrogen, Phosphorus and Suspended Sediment from Agricultural Pollution in England?Environmental Evidence. 2 (1), 1-6. Sani A., Scholz M., Babatunde A. and Wang Y. (2013),Impact of Water Quality Parameters on the Cloggingof Vertical-Flow Constructed Wetlands TreatingUrban Wastewater.Water, Air and Soil Pollution, 224 (3), 1488-1506. Mustafa A., Scholz M., Khan S. and Ghaffar A. (2013),Application of Solar Disinfection for Treatment of Contaminated Public Water Supply in a Developing Country: Field Observations. Journal of Water and Health, 11 (1), 135-145. Li M. M., Pan H.-C., Huang S.-L. and Scholz M. (2013), Controlled Experimental Study on Removing Diesel Oil Spillages Using Agricultural Waste Products.Chemical Engineering and Technology, 36 (4), 673-680. Scholz M. and Uzomah V. (2013), Rapid Decision Support Tool Based on Novel Ecosystem Service Variables for Retrofitting of Permeable Pavement Systems in the Presence of Trees. Science of the Total Environment, 458-460, 486-498. Tota-Maharaj K. and Scholz M. (2013), Combined Permeable Pavement and Photocatalytic Titanium Dioxide Oxidation System for Urban Runoff Treatment and Disinfection. Water and Environment Journal, 27 (3), 338-347. Dong Y., Scholz M.and Mackenzie S.(2013),Performance Evaluation of Representative Wildfowl & Wetlands Trust Constructed Wetlands Treating Sewage. Water and Environment Journal, 27 (3), 317-328. Zounemat-Kermani M. and Scholz M. (2013), Computing Air Demand Using the Takagi–Sugeno Model for Dam Outlets. Water, 5(3), 1441-1456. Sani A., Scholz M. and Bouillon L. (2013), Seasonal Assessment of Experimental Vertical-flow Constructed Wetlands Treating Domestic Wastewater. Bioresource Technology.147, 585-596. Scholz M., Uzomah V.,Almuktar S. and Radet-TaligotJ. (2013), Selecting Sustainable Drainage Structures Based on Ecosystem Service Variables Estimated by Different Stakeholder Groups. Water.5 (4), 1741-1759. Dong Y., Kayranli B., Scholz M. and Harrington R.(2013), Nutrient Release from Integrated Constructed Wetlands Sediment Receiving Farmyard Runoff and Domestic Wastewater. Water and Environment Journal.27 (4), 439-452. Fitria D., Swift G. M. and Scholz M. (2013),Impact of Different Shapes and Types of Mixers on Sludge Dewaterability. Environmental Technology. 34 (7), 931-936. Tota-Maharaj K. and Scholz M.(2013), Modeling of Permeable Pavements for Treatment of Urban Runoff Using Self-organizing Maps. Environmental Engineering and Management Journal.12 (12), 2273-2287. Wu M., Tang X., Li Q., Yang W., Jin F., Tang M. and Scholz M.(2013),Review ofEcological Engineering Solutions for Rural Non-pointSource Water Pollution Control in Hubei Province, China. Water, Soil and Air Pollution. 224 (5), article number 1561. Amini Rad H., Hassannattaj A., Scholz M., Navayineya B. and Weekes L. (2013), Generic Adsorption Coefficients and Natural Removal of Heavy Metals in Muddy River Water. International Journal of Bioassays. 2 (9), 1260-1268. Zounemat-Kermani M. and Scholz M. (2014), Modelling of Dissolved Oxygen Applying Stepwise Regression and a Template-based Fuzzy Logic System. Journal of Environmental Engineering – ASCE.140 (1), 69-76. Uzomah V., Scholz M., and Almuktar S. (2014), Rapid Expert Tool for Different Professions Based on Estimated Ecosystem Variables for Retrofitting of Drainage Systems.Computers, Environment and Urban Systems. 44, 1-14. Yang Q., Shao J. and Scholz M. (2014), Self-organizing Map to Estimate Sustainable Flood Retention Basin Types and Variables. Environmental Engineering and Management Journal. 13 (1), 129-134. Fitria D., Scholz M., Swift G. M. and Hutchinson S. M.(2014),Impact of Sludge Floc Size and Water Composition on Dewaterability. Chemical Engineering and Technology. 37 (3), 471-477. Wu M., Li Q., Tang X., Huang Z., Lin L. and Scholz M.(2014), Arsenic(V) Removal in Wetland Filters Treating Drinking Water with Different Substrates and Plants. International Journal of Environmental Analytical Chemistry, 94 (6),618-638. Ebrazi Bakhshayesh B.,Delkash M. and Scholz M. (2014), Response of Vegetables to Cadmium-Enriched Soil. Water6 (5), 1246-1256. Al-Faraj F. A. M. and Scholz M.(2014),Assessment of Temporal Hydrologic Anomalies Coupled with Drought Impact for a TransboundaryRiver Flow Regime: The Diyala Watershed Case Study. Journal of Hydrology. 517, 64-73. Du S.-I., Huang S.-L.,Pan H.-C.,Zang C.-J.,Wu M.,Lin C.,Guo Y.,Gao F.and Scholz M.(2014),Monitoring Algal Bloom through Relationships Between Chlorophyll α and Phytoplankton. Environmental Engineering and Management Journal, 13 (4), 805-815. Dzakpasu M., Scholz M., Harrington R.,McCarthy V. and Jordan S. N. (2014),Groundwater Quality Impacts from a Full-scale Integrated Constructed Wetland. Groundwater Monitoring and Remediation, 34 (3), 51-64. Delkash M., Al-Faraj F. A. M. and Scholz M. (2014),Comparing the Export Coefficient Approach with the Soil and Water Assessment Tool to Predict Phosphorous Pollution: The Kan Watershed Case Study. Water, Air and Soil Pollution, 225 (10), article number 2122. Al-Faraj F. A. M.,Scholz M. andTigkas D. (2014),Sensitivity of Surface Runoff to Drought and Climate Change: Application for Shared River Basins. Water,6 (10), 3033-3048. Dzakpasu M., Scholz M., McCarthy V.and Jordan S. (2014), Nitrogen Transformations and Mass Balance in an Integrated Constructed Wetland Treating Domestic Wastewater. Water Science and Technology,70(9), 1496-1502. Al-Faraj F. A. M. and Scholz M. (2014), Incorporating the Flow Duration Curve Method within the Digital Filtering Algorithms to Estimate the Base Flow Contribution to Total Runoff. Water Resources Management,28(15), 5477-5489. Dzakpasu M., Scholz M., McCarthy V. and Jordan S. (2015), Assessment of Long-term Phosphorus Retention in an Integrated Constructed Wetland Treating Domestic Wastewater. Environmental Science and Pollution Research, 22(1), 305-313. Almuktar S.A. A.-A. N., Scholz M., Al-Isawi R. H. K. and Sani A. (2015), Recycling of Domestic Wastewater Treated by Vertical-flow Wetlands for irrigating Chillies and Sweet Peppers. Agricultural Water Management, 149, 1-22. Dzakpasu M., Scholz M., McCarthy V., Jordan S. and Sani A. (2015), Adaptive Neuro-fuzzy Inference System for Real-time Monitoring of Integrated Constructed Wetlands. Water Science and Technology, 71(1), 22-30. Al-Faraj F. A. M. and Scholz M. (2015), Impact of Upstream Anthropogenic River Regulation on Downstream Water Availability in TransboundaryRiver Watersheds. International Journal of Water Resources Development, 31(1), 28-49. Yang Q., Boehm C., Scholz M., Plant C. and Shao J. (2015), Predicting Multiple Functions of Sustainable Flood Retention Basins under Uncertainty via Multi-instance Multi-label Learning. Water, 7 (4), 1359-1377. Yan H., Huang S. and Scholz M.(2015), Kinetic Processes of Acute Atrazine Toxicity to Brachydanio rerio in the Presence and Absence of Suspended Sediments. Water, Soil & Air Pollution, 226 (66), 1-13. Al-Isawi R., Sani A., Almuktar S. and Scholz M. (2015), Vertical-flow Constructed Wetlands Treating Domestic Wastewater Contaminated by Hydrocarbons. Water Science and Technology,71 (6), 938-946. Dzakpasu M., Scholz M., McCarthy V. and Jordan S.(2015), Phosphorus Retention and Mass Balance in an Integrated Constructed Wetland Treating Domestic Wastewater.Water and Environment Journal, 29 (2), 298-306. Naz A., Khan S., Muhammad S., Khalid S., Alam S., Siddique S., Ahmed T. and Scholz M. (2015), Toxicity and Bioaccumulation of Heavy Metals in Spinach (Spinacia oleracea) Grown in a Controlled Environment.International Journal of Environmental Research and Public Health,12 (7), 7400-7416. Zounemat-Kermani M., Scholz M. and Tondar M.-M.(2015), Hydrodynamic Modelling of Free Water-surface Constructed Storm Water Wetlands Using a Finite Volume Technique. Environmental Technology, 36 (20), 2532-2547. Almuktar S., Scholz M., Al-Isawi R. and Sani A. (2015), Recycling of Domestic Wastewater Treated by Vertical-flow Wetlands for Watering of Vegetables. Water Practice and Technology, 10 (3), 445-464. Al-Isawi R., Scholz M., Wang Y. and Sani A. (2015), Clogging of Vertical-flow Constructed Wetlands Treating Urban Wastewater Contaminated with a Diesel Spill. Environmental Science and Pollution Research, 22 (17), 12779-12803. Meyer D., Chazarenc F., Claveau-Mallet D., Dittmer U., Forquet N., Molle P., Morvannou A., Pálfy T., Petitjean A., Rizzo A., Samsó Campà R., Scholz M., Soric A. and Langergraber G. (2015), Modelling Constructed Wetlands: Scopes and Aims – A Comparative Review. Ecological Engineering, 80, 205-213. Almuktar S. and Scholz M. (2015), Microbial Contamination of Capsicum annuum Irrigated with Recycled Domestic Wastewater Treated by Vertical-flow Wetlands. Ecological Engineering, 82, 404-414. Tang X., Wu M., Yang W. and Scholz M. (2015), Impact of Simulated Water Level Regulation on Sediment Nutrient Release. Water, Soil and Air Pollution, 226 (8), article number: 228. Al-Faraj F. A. M., Scholz M., Tigkas D. and Boni M. (2015),Drought Indices Supporting Drought Management in Transboundary Watersheds Subject to Climate Alterations. Journal of Water Policy,17 (5), 865-886. Almuktar S.A. A.-A. N. and Scholz M. (2016), Mineral and Biological Contamination of Soil and Capsicum annuum Irrigated with Recycled Domestic Wastewater. Agricultural Water Management.167, 95-109. Almuktar S.A. A.-A. N. and Scholz M. (2016), Experimental Assessment of Recycled Diesel Spill-contaminated Domestic Wastewater Treated by Reed Beds for Irrigation of Sweet Peppers. 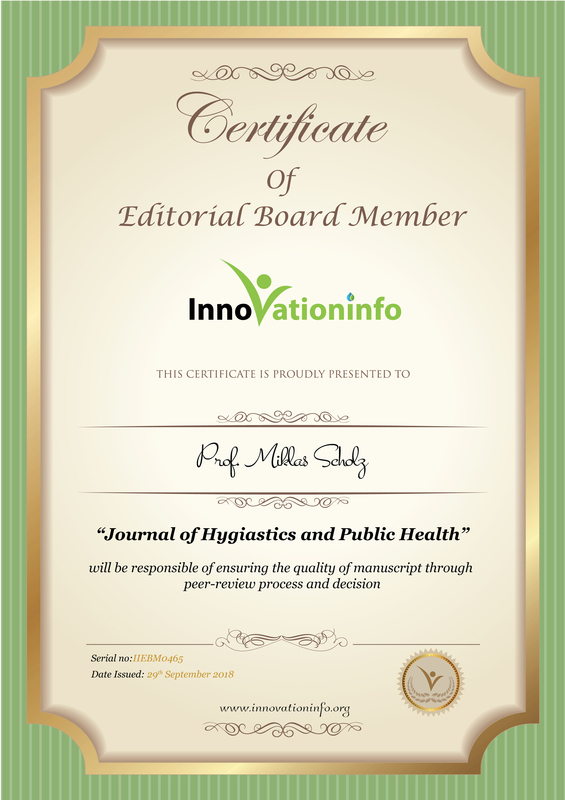 International Journal of Environmental Research and Public Health. 13 (208), 1-20. Abed S. N. and Scholz M. (2016), Chemical Simulation of Greywater. Environmental Technology.37 (13), 1631-1646. Yaseen D. A., and Scholz M. (2016), Shallow Pond Systems Planted with Lemna minor Treating Azo Dyes. Ecological Engineering. 94, 295-305. Al-Isawi R. H. K., Almuktar S. A. A.-A. N. and Scholz M. (2016), Monitoring and Assessment of River, Rain, Gully Pot and Grey Waters for Irrigation of Capsicum annuum. Environmental Monitoring and Assessment. 188 (5), article 287. 1-12.